Three young Canadian women have some notable things in common: concern for social justice, success in beauty contests – and faith in Christ. Born in Iran and raised in West Vancouver, Nazanin Afshin-Jam grew up with a desire to help people in need. As she became directly involved in such work, she wondered how she could communicate with a wider audience – and decided to try her luck as a beauty contestant. “I felt people were listening more to sports stars and celebrities than they were to politicians. So how could I get a title for myself? I learned about the Miss World contest, and their motto: ‘Beauty with a purpose.’” She was chosen Miss World Canada in 2003. Afshin-Jam is especially concerned with human rights issues in the land of her birth, which she said struggles with “state-controlled media, persecution of ethnic and religious minorities, many political prisoners and a gender apartheid that values women’s lives at half that of a man.” Her main focus is her work with Stop Child Executions. Naomi Zaman was born and raised in a Christian household in Ontario. She has performed at various charity events. In 2005, she won the Miss Pakistan World contest. She is now a recording artist, and recently participated in DesiFest – an event celebrating South Asian culture in Toronto, Montreal and Vancouver. 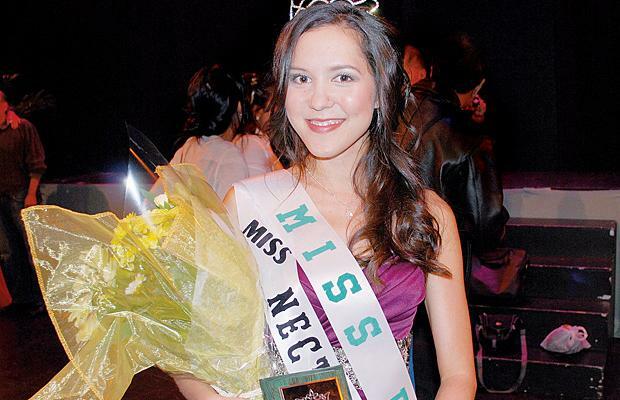 “I’ve never done pageants before,” said Tara Teng. One gets the impression that this is not false modesty, but rather an indication of her priorities. Since childhood, the pastor’s daughter has volunteered to serve in various missions and sport camps. “I grew up in a family where we care about ministry,” she told Options. Now a Trinity Western University student, she is pursuing broader interests through the Trinity International Social Justice Club. She also co-founded a group with a whimsical name and a serious purpose: Undies for Africa, which operates through Nectar Lingerie in Fort Langley, B.C.